Unstable loads are dangerous and can cause injuries. Even a light box flying off the forks or falling from height is going to harm pedestrians in its path. 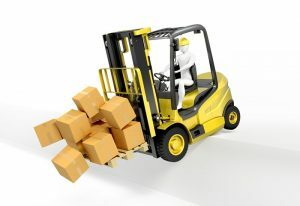 Forklift operator training must cover load safety. Operators need to be able to assess if a load is within the capacity of the forklift, stable on the pallet, if it needs strapping or wrapping and if the pallet is in serviceable condition.